Here it is! 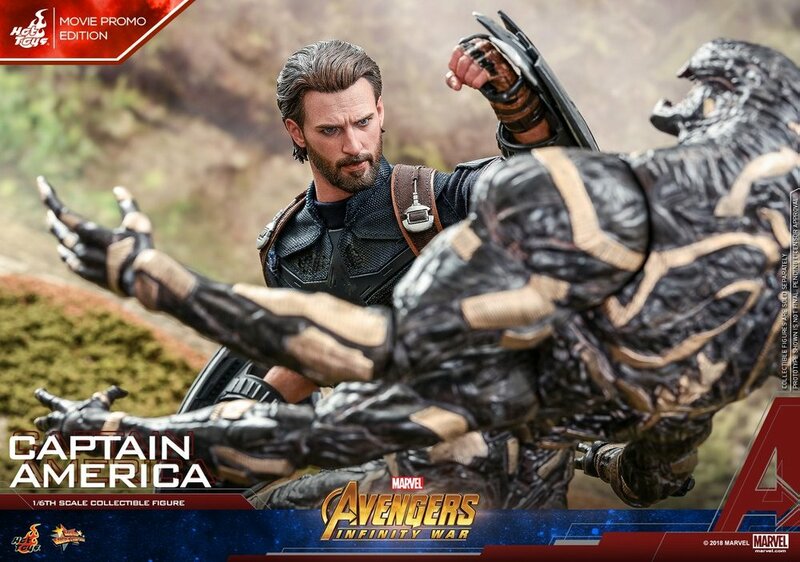 Hot Toys has revealed their 1/6th scale collectible action figure for Captain America from Avengers: Infinity War. 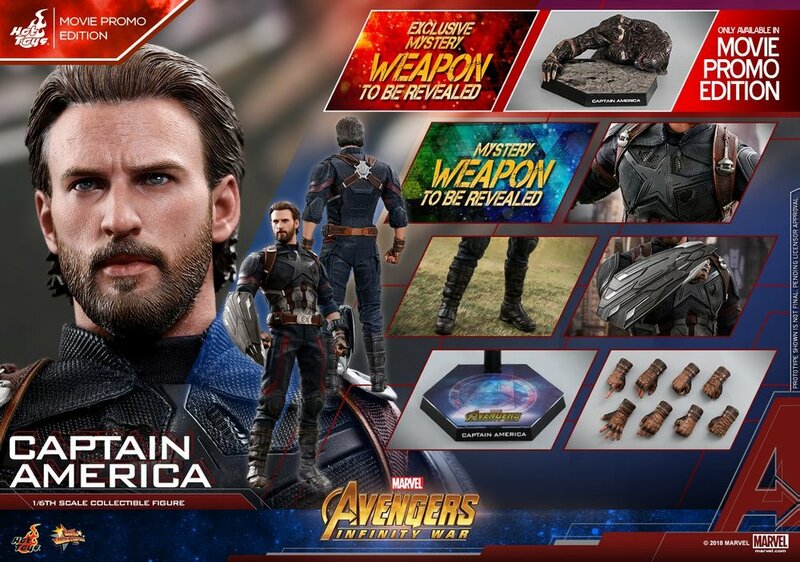 I actually own every version of Captain America that Hot Toys has made from each of the films that he has appeared in. 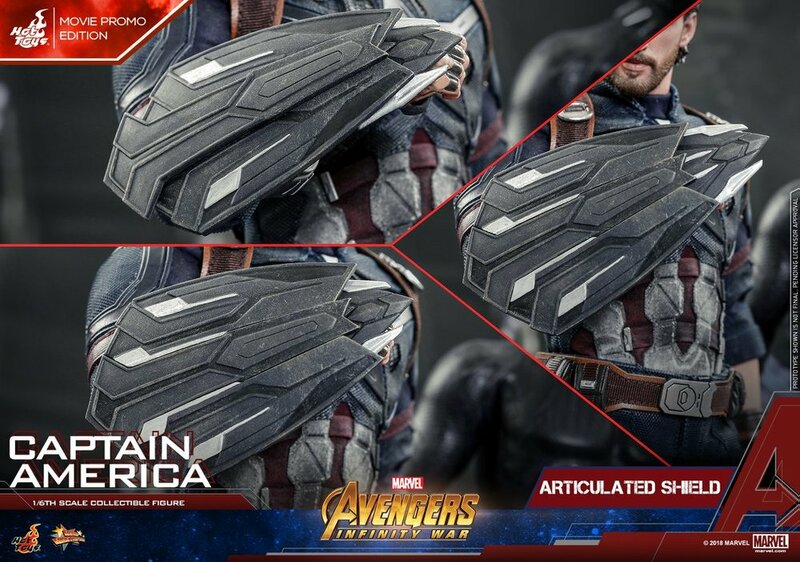 So, it looks like I'll have to drop some money on this bad boy to complete my collection. 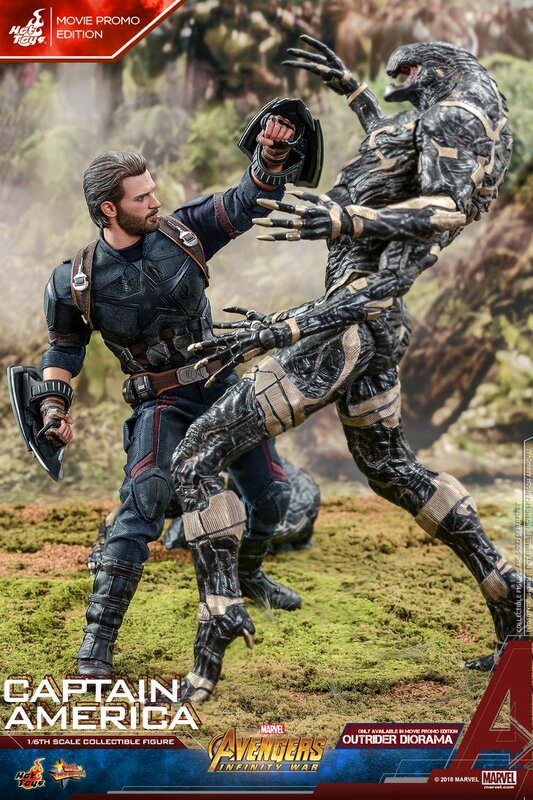 After all... Captain America could very well die in this movie. It's just something that most fans are expecting to happen. 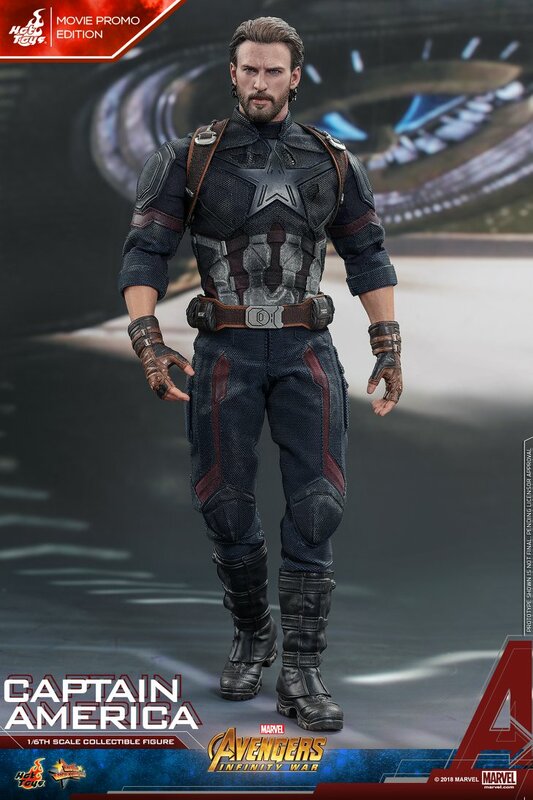 This new figure gives us a close-up and detailed look at Caps suit, which as you can tell has been through a lot. As you can see, it's really worn out. 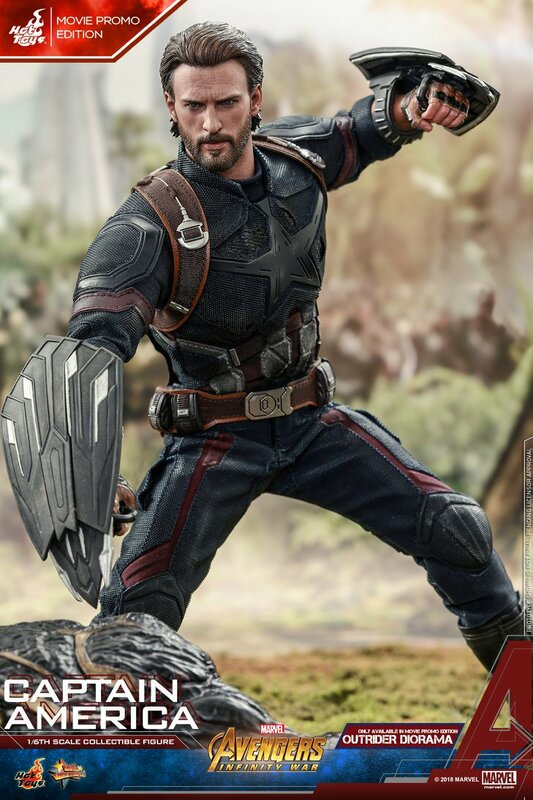 It makes me wonder... how do superheroes like Captain America clean their suits!? Do they take the time to clean them? Do they take it to the dry cleaners? Do they never clean it and just let it soak in the stinky sweat of battle? I'll be dwelling on this for awhile. Anyway, here are the details and additional photos! 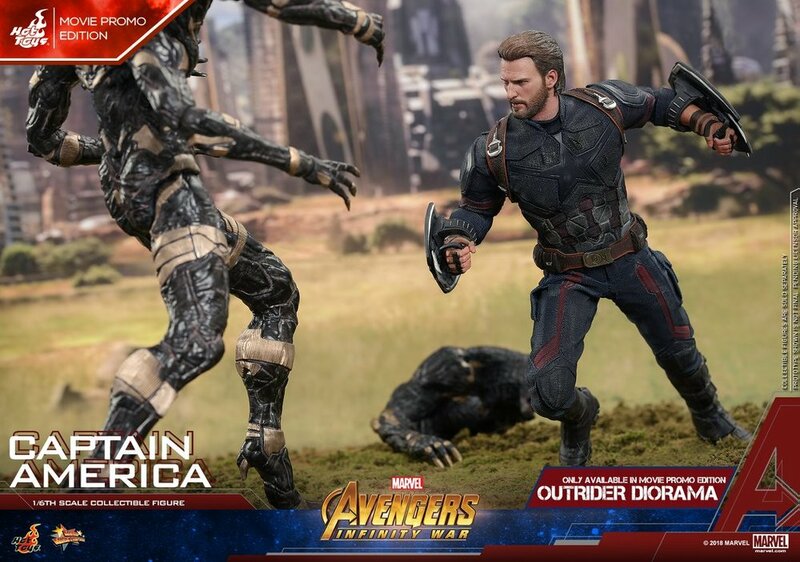 In anticipation to Marvel Studios’ upcoming epic movie, Hot Toys is very proud to present today the newest masterpiece with highly-accurate details – the MOVIE PROMO EDITION 1/6th scale collectible figure of Captain America Steve Rogers in his latest appearance and equipped with Wakanda shields from Avengers: Infinity War!